Oplev Dragør – en af Danmarks ældste fisker landsbyer på Amager kun 12 km syd for København. In 1300 Dragoer began as a trading place for herring. In the danish belt Øresund shoals of herring were fished and sold on Skanør trade market in Skåne and on Dragør Trade market on Amager. 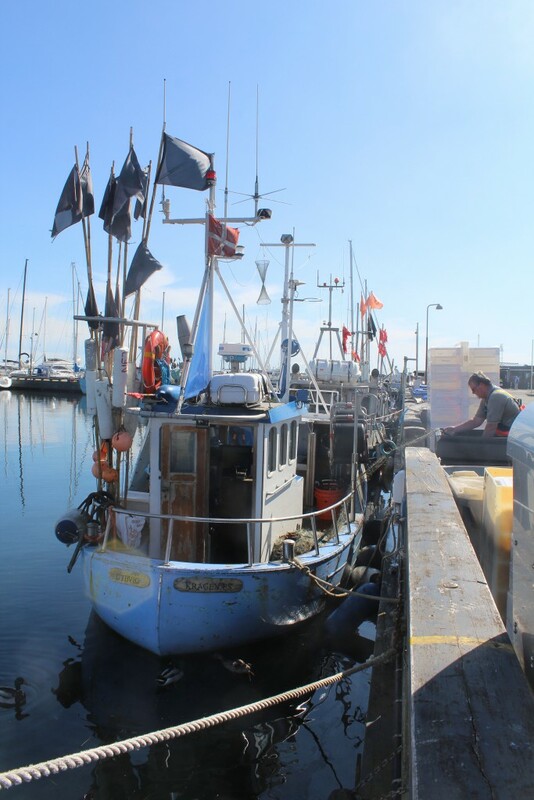 Merchants from all Europe came to buy the salted herrings in barrels and exported them to the populations in Germany, France and Italy. 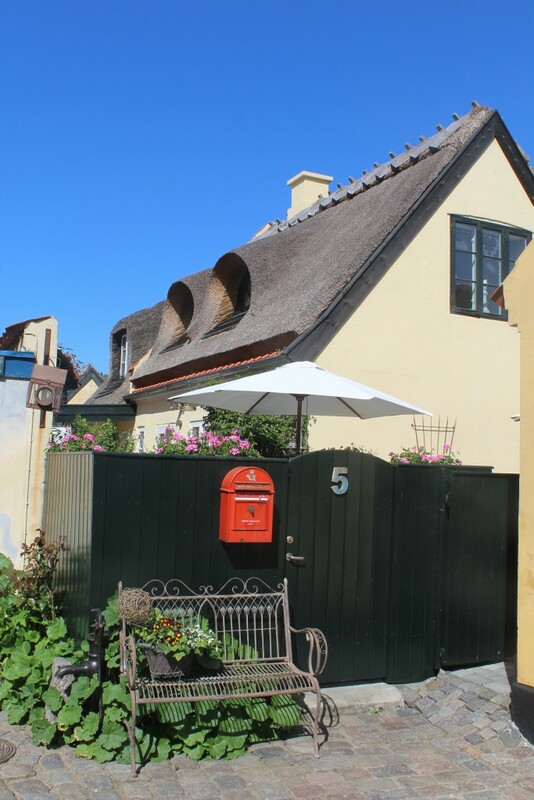 In 1521 invited the danish King Christian 2 (King of Denmark and Norway 1513-23) nederland farmers to settle in neighboring Store Magleby to introduce vegetable- and agricultural skills to danish farmers. 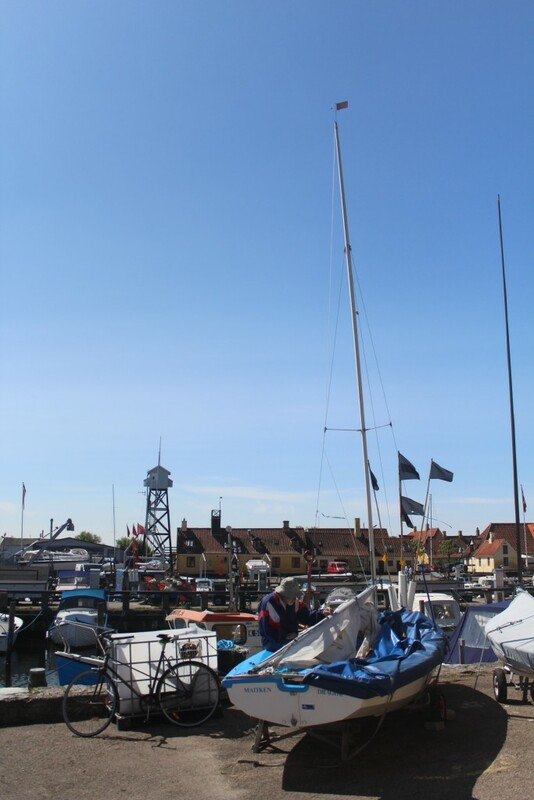 In Draoer danes and nederland fishermen settled permanetly in 1600 and expanded their activities of fishing, shipping, shipbuilding yard and marine equipment. 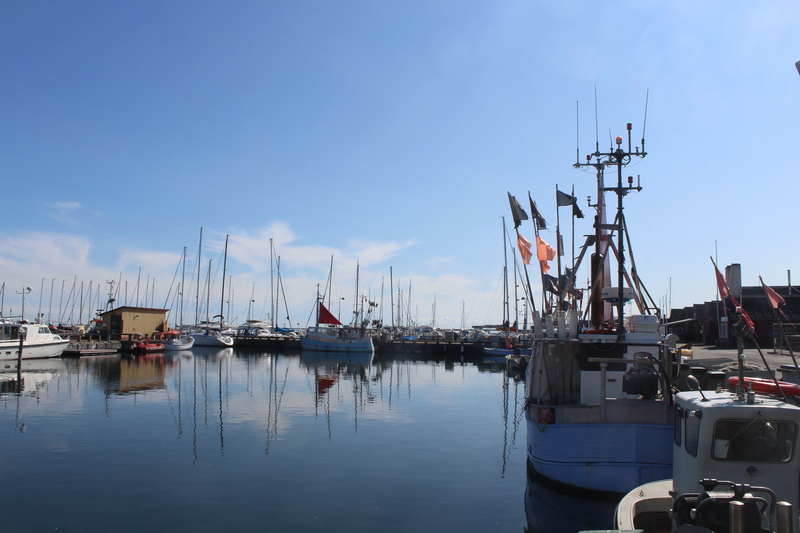 Dragoer Harbour. View in direction east to fishing boats and sailor boats. Photo 27. may 2016 by Erik K Abrahamsen. 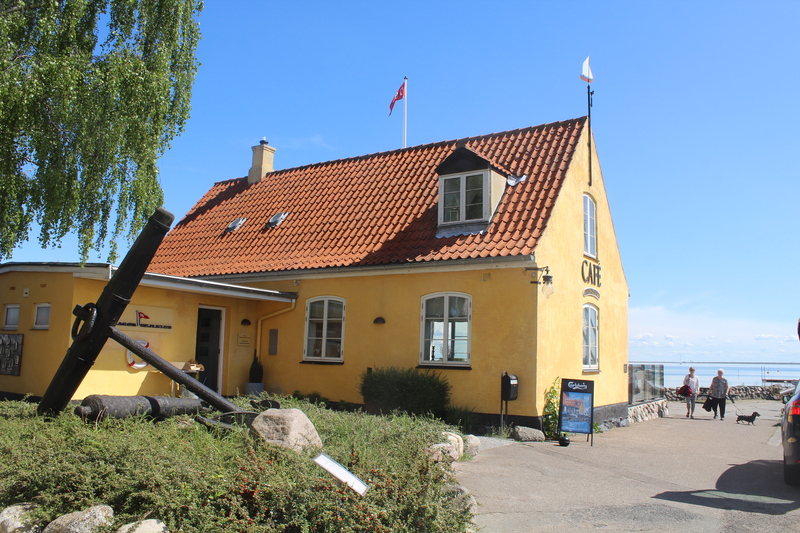 In 1684 Dragoer became the main pilot port with pilot boats to help commercial and marine ships navigating through the small belt Øresund between Østersøen and Kattegat Sea. 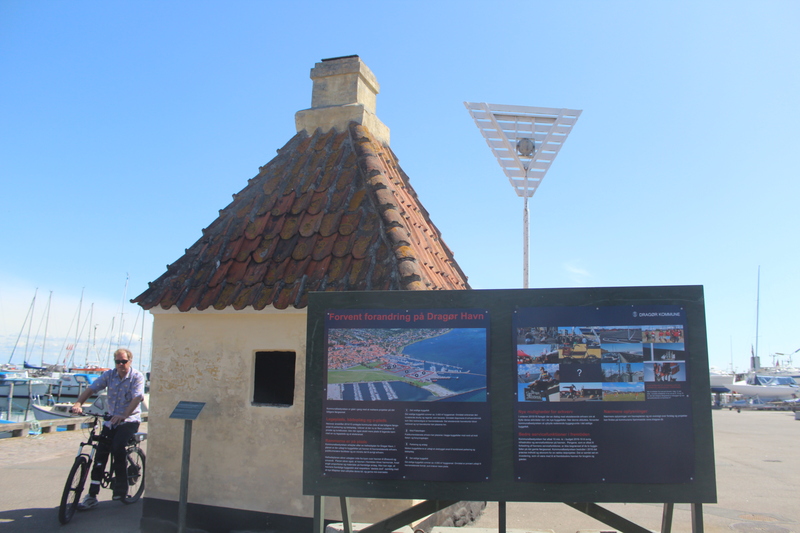 Dragoer expanded in 1700 and 1800 with more than 135 families living of fishing, piloting, rescuing operations of ships and men, shipbuilding and for the woman of all ages commercial weaving trade. 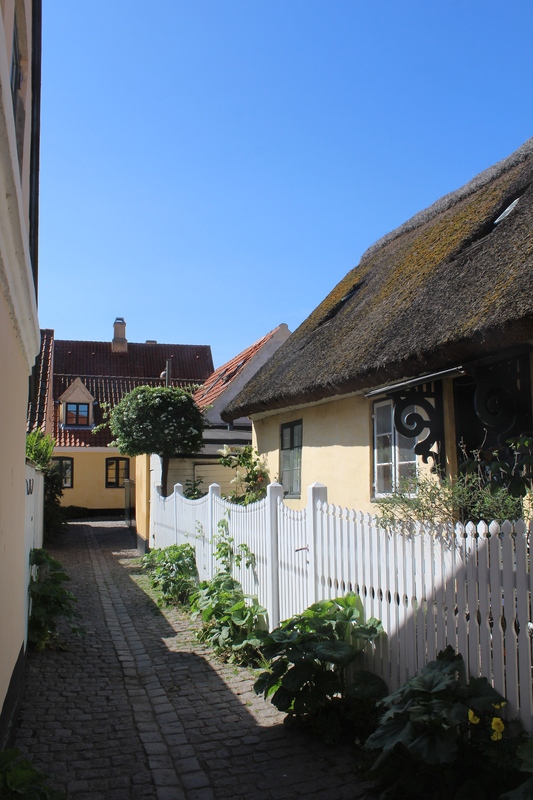 Most of the houses in Old Town Dragoer are built between 1700-1850. 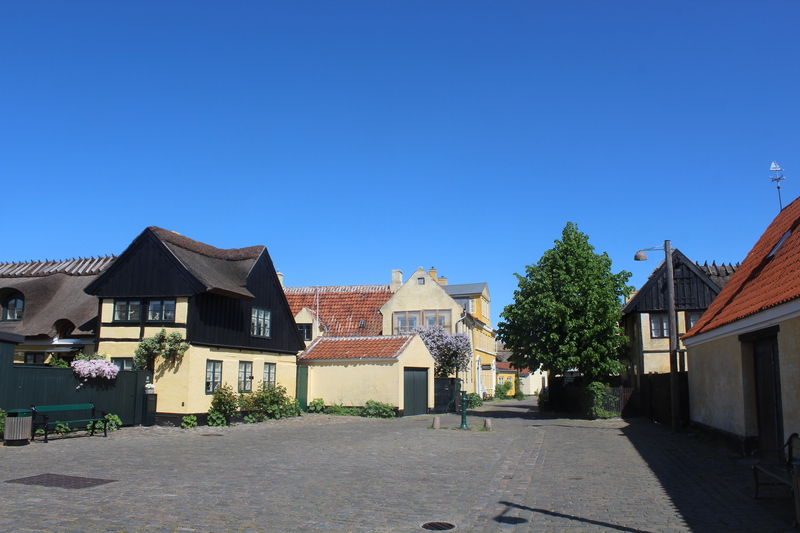 Today 80 old houses are put a preservation order on – 75 houses in Dragør Old Village and 5 houses in Dragoer Harbour. 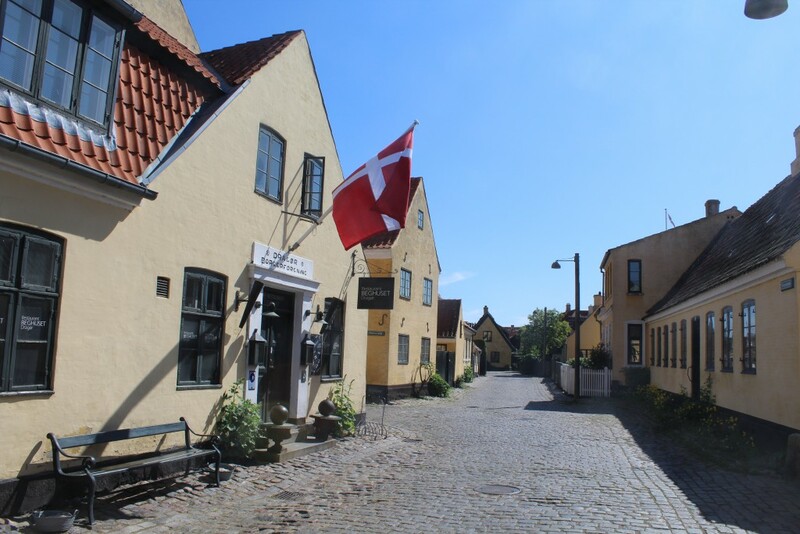 In Dragoer Old Village you can freely walk through the small alleys with original pavement between more than 100 old houses builded 1700-1850. 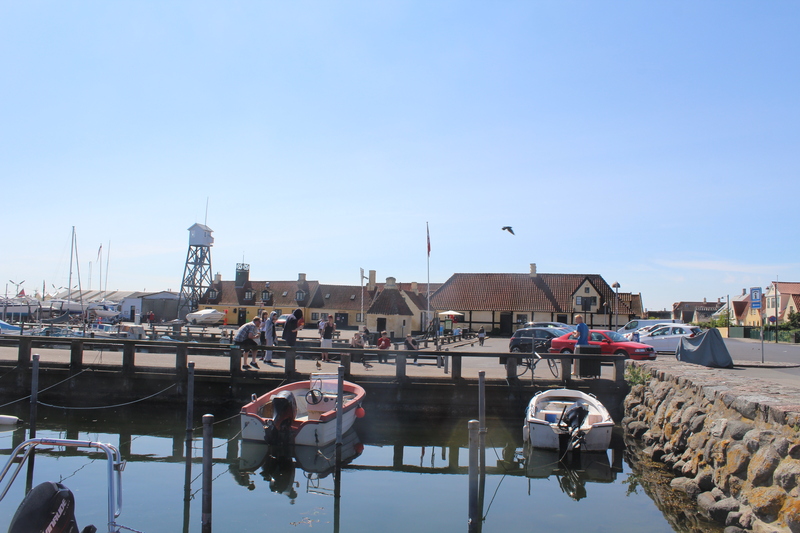 You will experience a unique fishing village and harbour – one of the eldest, original and most preserved in Denmark. Click on photos and use your zoom control and you see them in full screen size and you can read the text in danish. 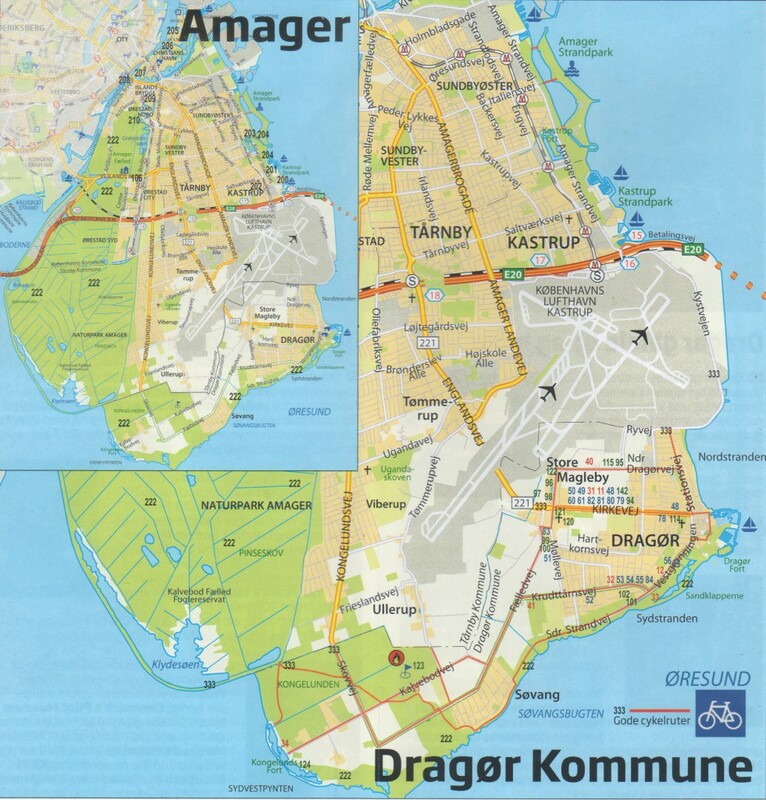 Map of Amager Island 12 km south of Copenhagen with village Store Magleby and fishing village Dragoer. Scanned 31. may 2016 from folder “Velkommen til Dragør – Welcome to Dragør” published by Dragør Turistkontor/The Tourist Office. Thanks to Dragoer Touristoffice for using this map. Fisherman cleans his fishing boat. Photo 27. may 2016 by Erik K Abrahamsen. 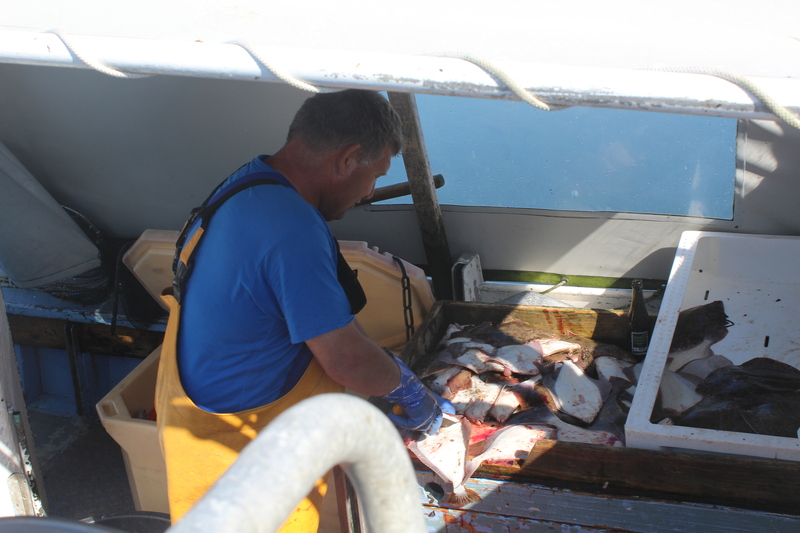 The fisherman on his boat preparering his fishes mostly flounders (skrubber) for sale. Photo 27. may 2016 by Erik K Abrahamsen. 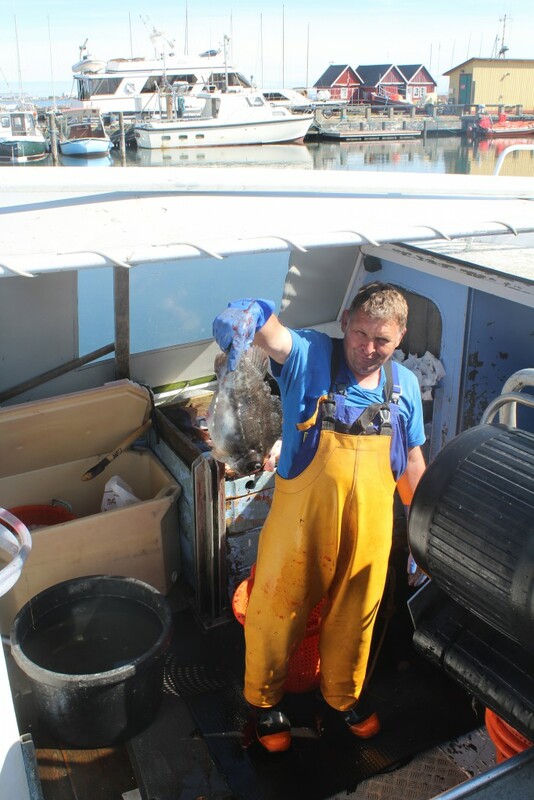 A fisherman shows a stenbider- a zo lumpsucker from today´s catch. Photo 27 may 2016 by Erik K Abrahamsen. – a rescuing boat with ice strengthening under its bottom. 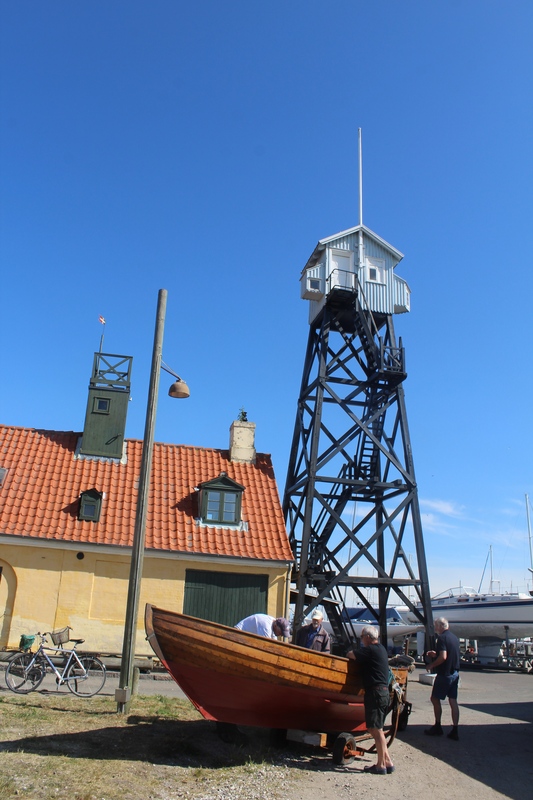 Pilot House with the former pilot tower on its roof and at right the 16 m high Pilot Tower builded 1912. In front a rescuing boat – bjærgningsbåd with ice strengthening under its bottom. Photo 27. may 2016 by Erik K Abrahamsen. Rescuing boat – bjærgningsbåd with ice strengthening under its bottom. Photo 27. may 2016 by Erik K Abrahamsen. 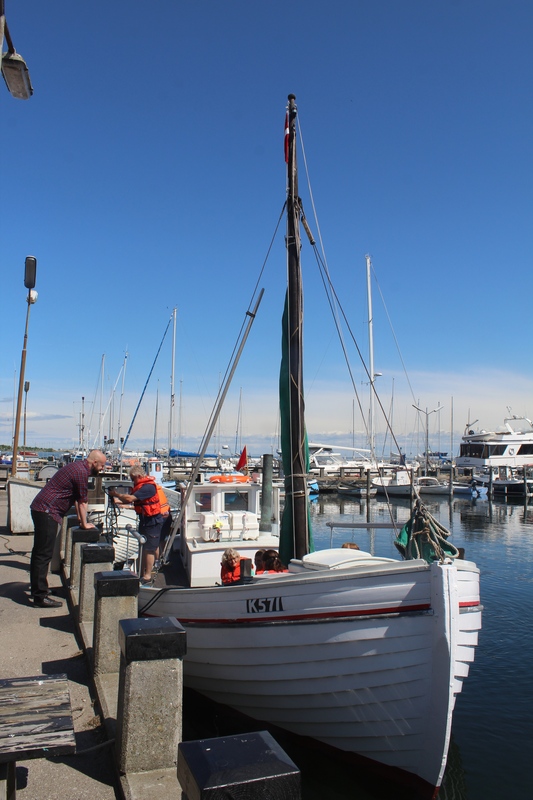 Pilot Boat “Ravnen” – Lodsbåden Ravnen. Photo 27. may 2016 by Erik K Abrahamsen. 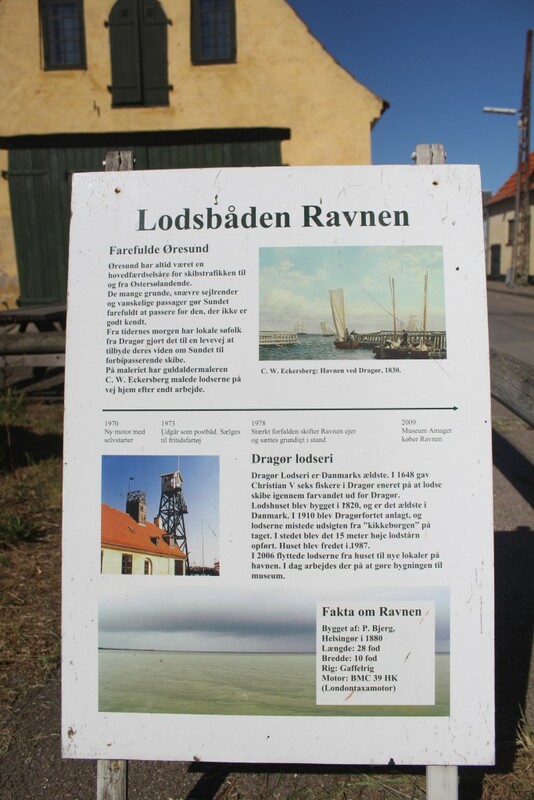 Plate telling the story of Pilot Boat “Ravnen” and Pilot Station builded 1820-23. Photo 27. may 2016 by rik K Abrahamsen. 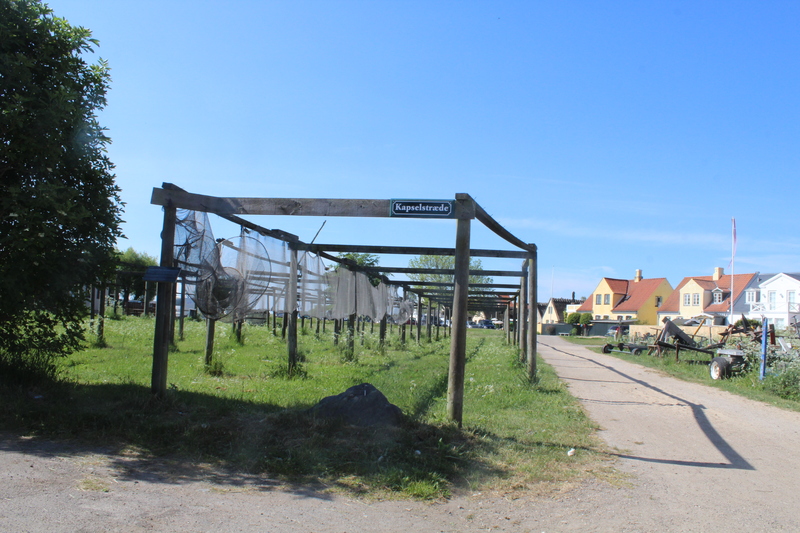 The Stake Area for drying, maintenance and repairing the fisherman´s nets. 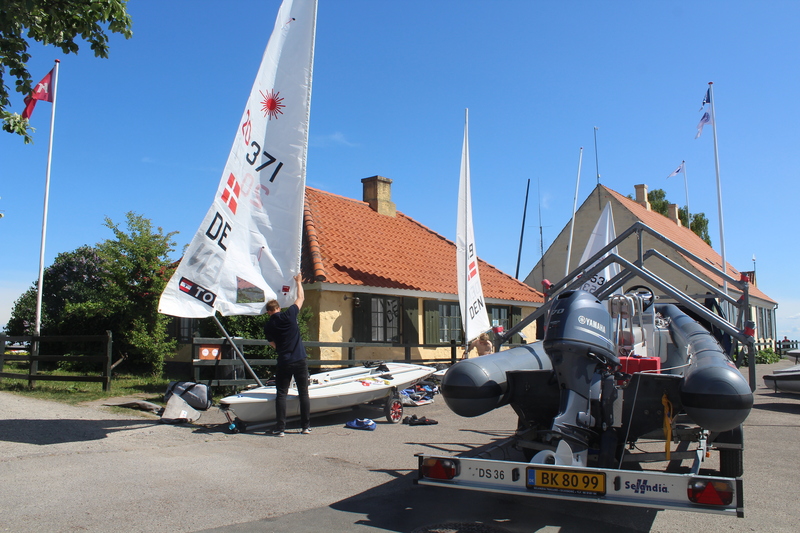 Photo 27 may 2016 by Erik K Abrahamsen. 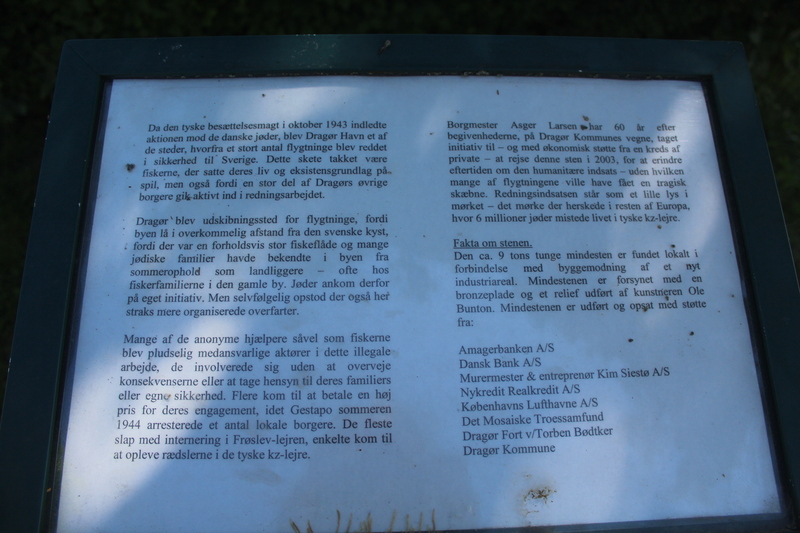 Click on photos and use your zoom control and you see them in full screen size and you can read the text in danish, english and german. 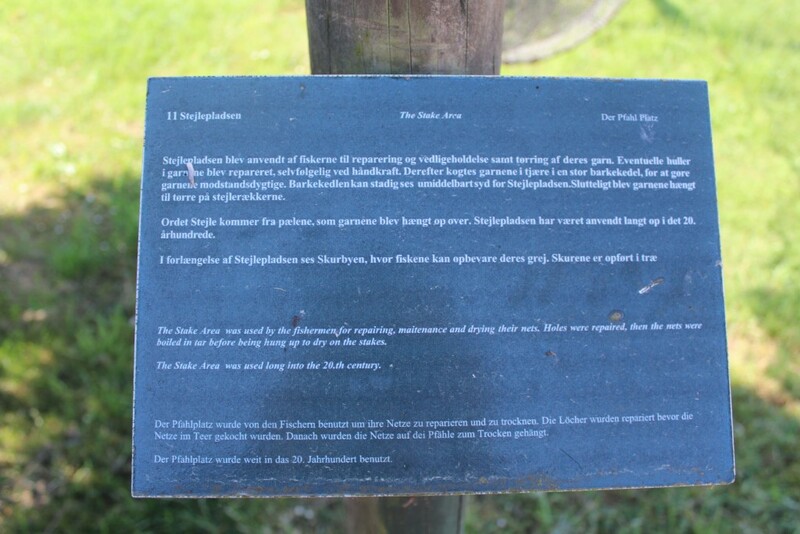 Plate on The Stake Area – Stejlepladsen. Photo 27. may 2016 by Erik K Abrahamsen. 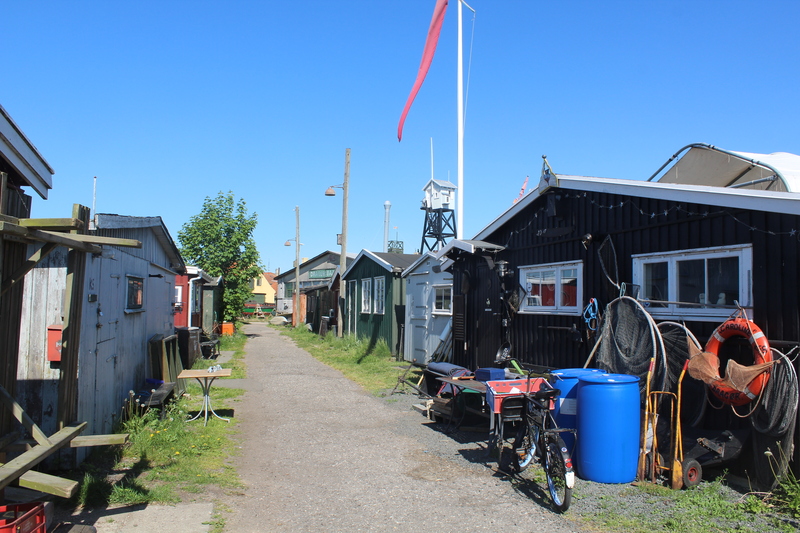 Beg trug på Stejlepladen på Dragør Havn. 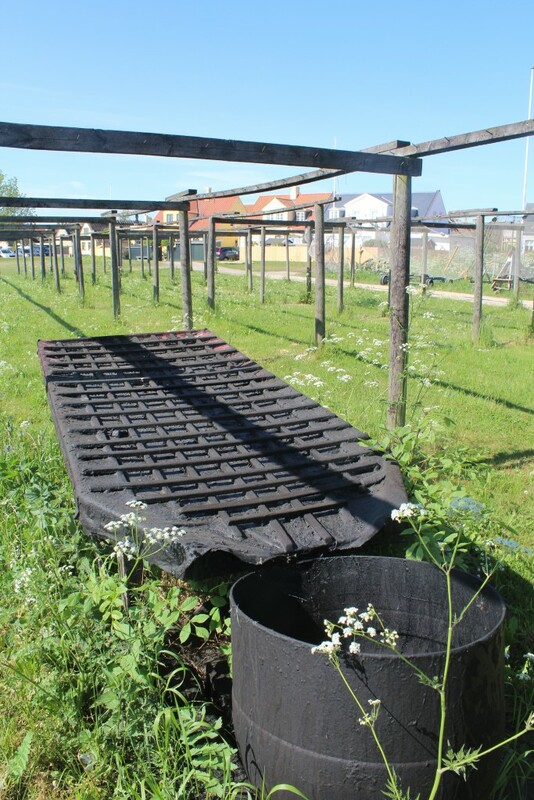 Wax trough – “Beg trug” on The Stake Area. Photo 27. may 2016 by Erik K Abrahamsen. 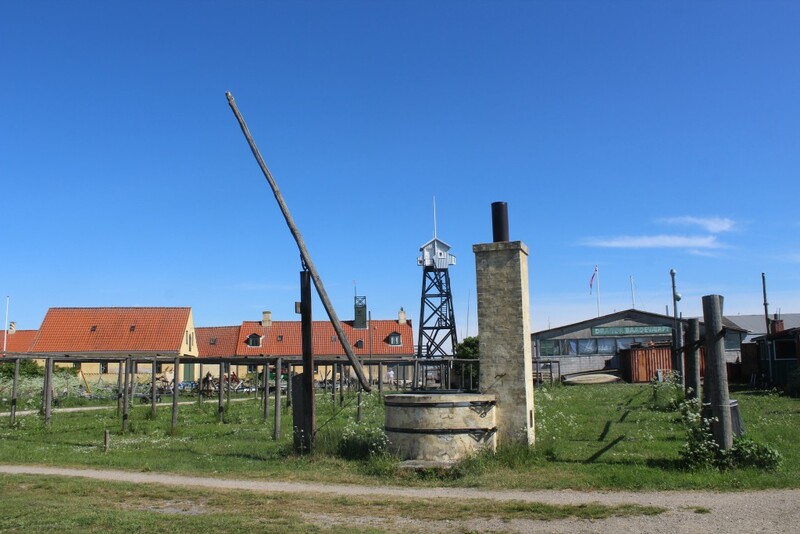 The Stake Area with Shipyard and Pilot Tower on Dragoer Harbour: Photo 27. may 2016 by Erik K Abrahamsen. Sheds of wood as neighbor to The Stake Area. 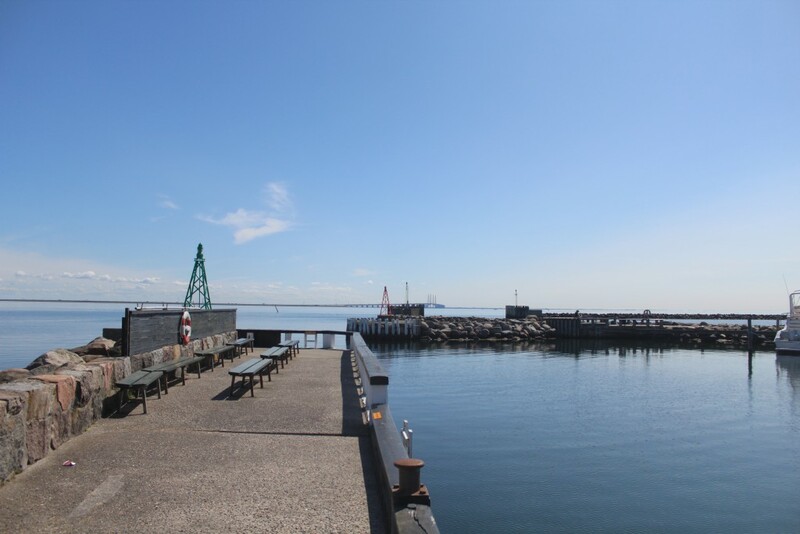 In background of photo the Pilot Tower builded 1912 and Shipyard. Photo 27. may 2016 by Erik K Abrahamsen. 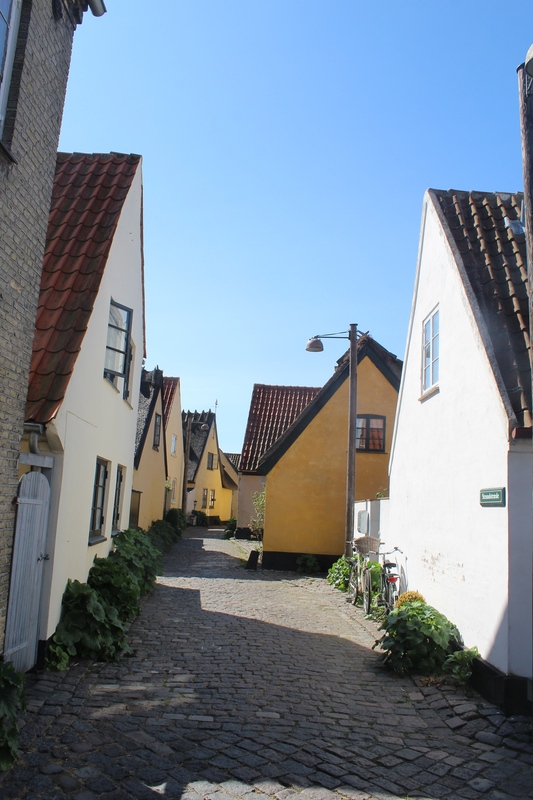 Dragoer Old Fishing Village with more than 80 original houses builded 1700-1850. Alleys with original pavement. Photo 27 may 2016 by Erik K Abrahamsen. Dragoer Old Fishing Village. Photo 27. may 2016 by Erik K Abrahamsen. 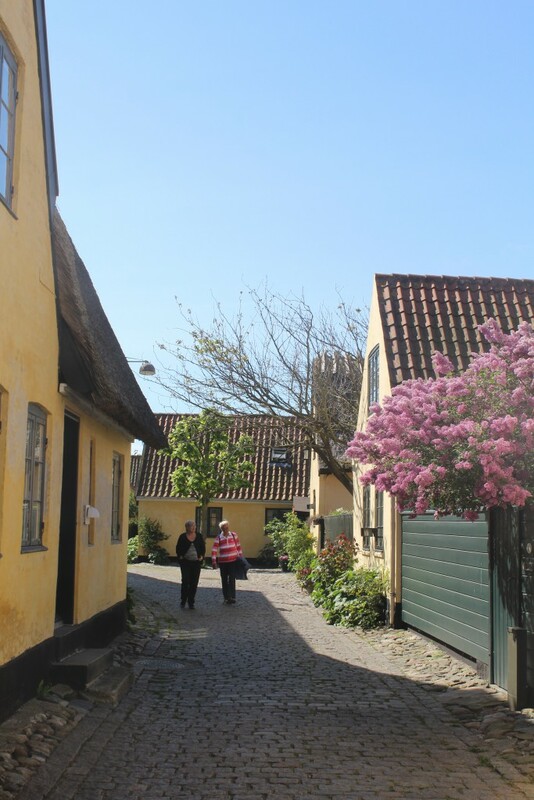 Dragør Borgerforening in Dragoer Old Fishing Village. Photo 27. may 2016 by Erik K Abrahamsen. A thatcher renew a thatched roof. 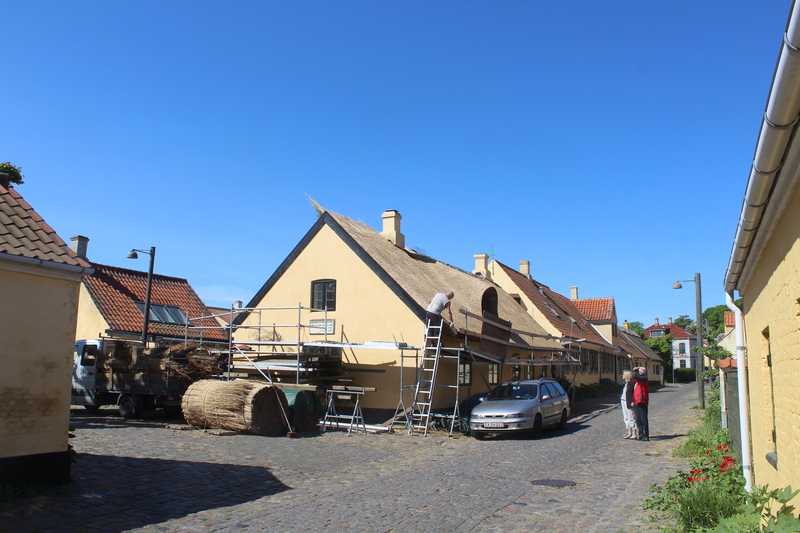 A thatcher renews a thatched roof in Dragoer Old Fishing Village. Photo 27. may 2016 by Erik K Abrahamsen. 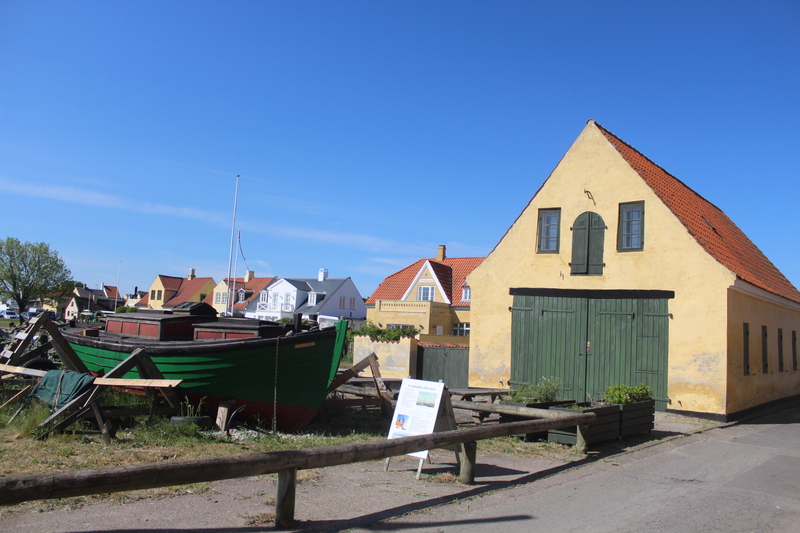 Dragoer Old Fishing Village. Photo 27.may 2016 by Erik K Abrahamsen. Dragoer shopping area. Photo in direction east to Dragoer Harbour. Photo 27. May 2016 by Erik K Abrahamsen. Dragør Strandhotel – Dragoer Beach Hotel. 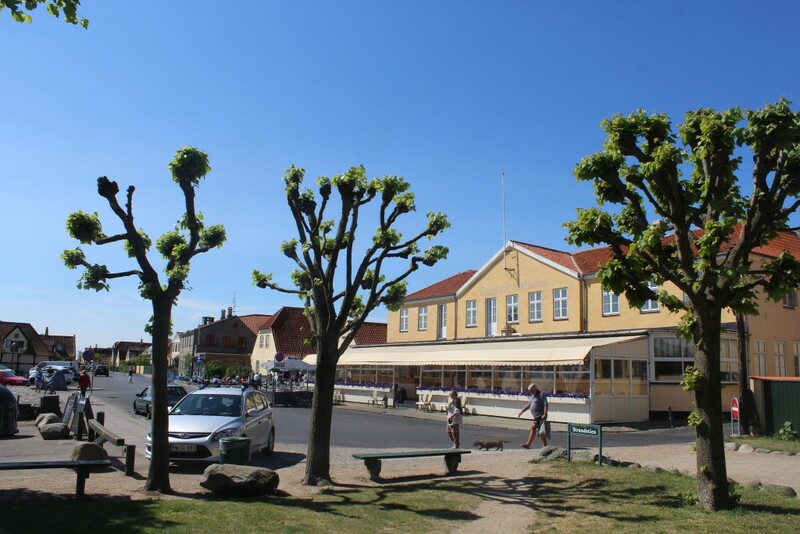 Dragør Strandhotel – Dragoer Beach Hotel. Photo 27. may 2016 by Erik K Abrahamsen. 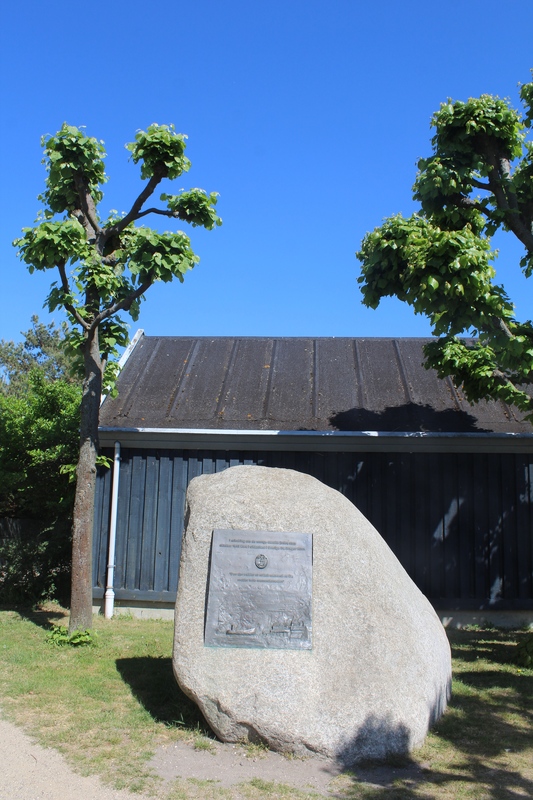 Memorial Stone of the rescue of 6-7oo danish jews on fishing boats from Dragoer Harbour to safety in Sweden october 1943. Photo 27. may 2016 by Erik K Abrahamsen. 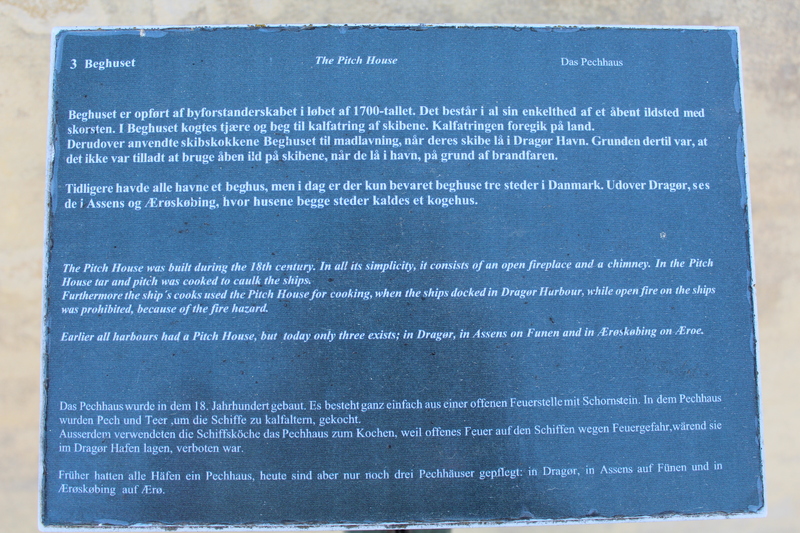 Plate about the rescue of 6-700 danish jews october 1943 on fishing boats from Dragoer Harbour to safety in Sweden. Photo 27. may 2016 by Erik K Abrahamsen. 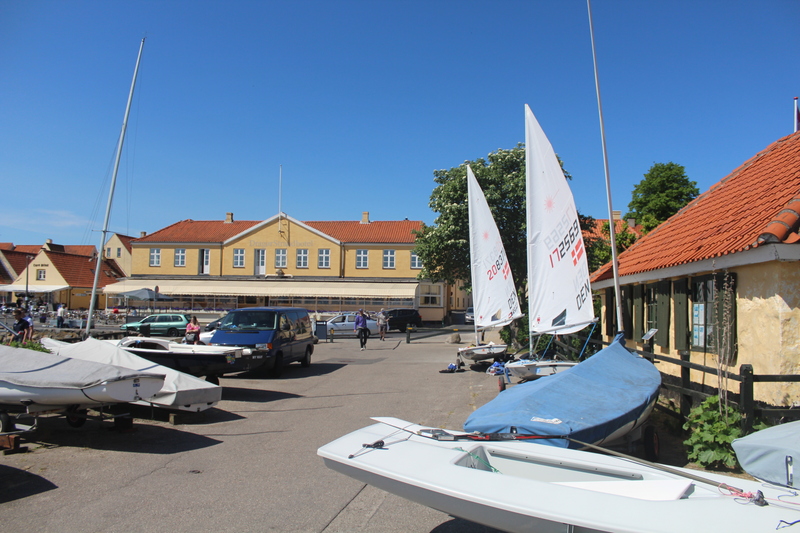 Dragoer Harbour – area of spare time sailors. Photo 27. may 2016 by Erik K Abrahamsen. Memorial Monument Anchor and cannon from war between Denmark and England 1807-14. Photo 27 may 2016 by Erik K Abrahamsen. A spare time sailor paints his boat. In background the 16 m high pilot tower.Photo 27 may 2016 by Erik K Abrahamsen. 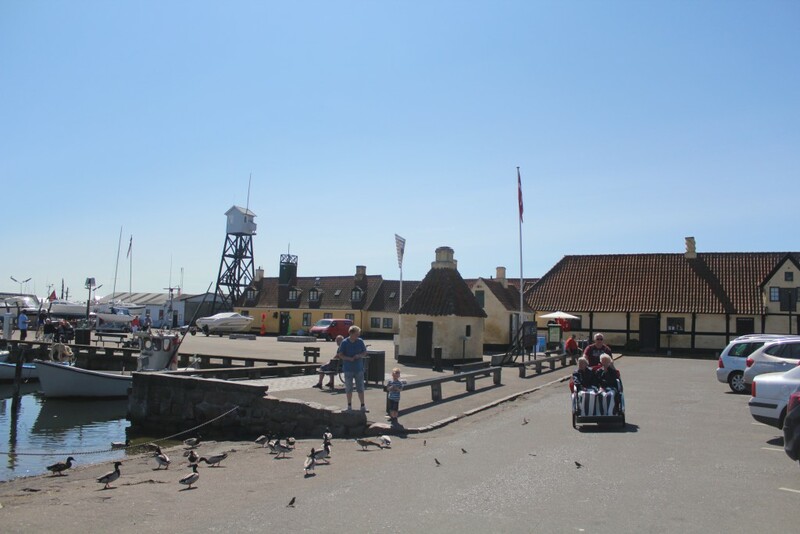 Dragoer Harbour. 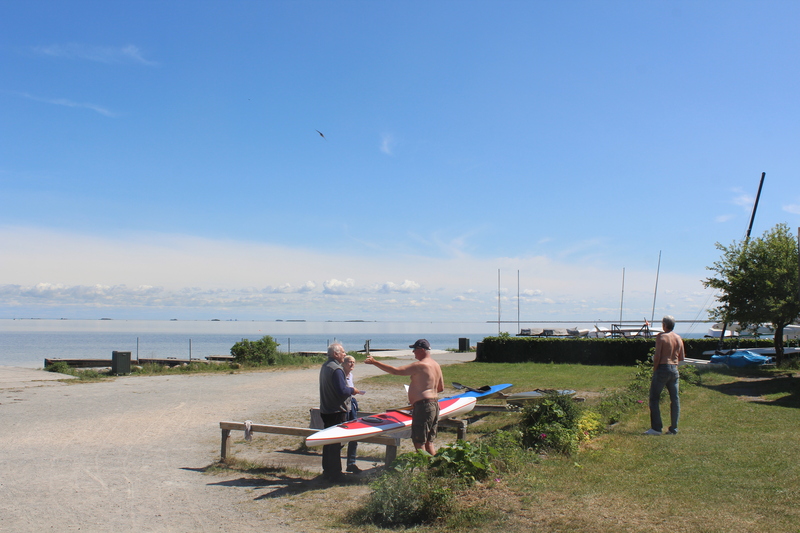 Kayak Area with view in direction east to Island Saltholm at left and artificial island Peberholmen at right. Photo 27,. may 2016 by Erik K Abrahamsen. Dragoer Harbour. View in direction west to northern beach of Dragoer. 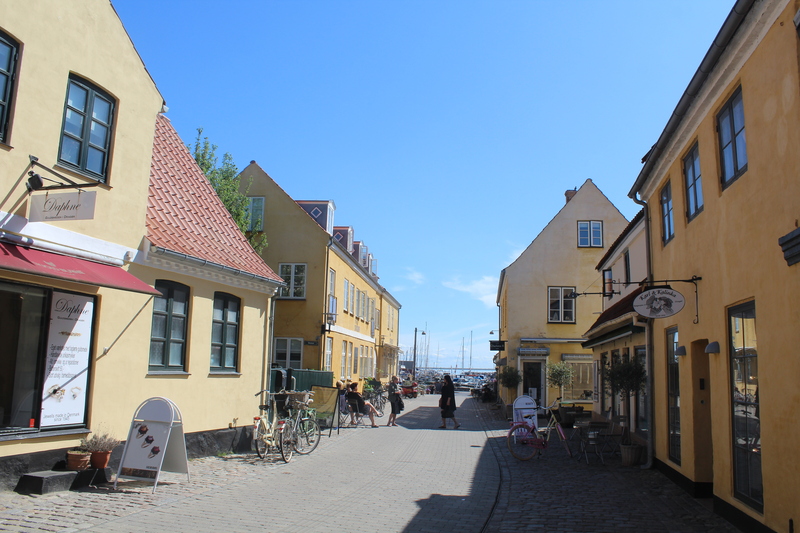 Photo 27 . may 2016 by eEik K Abrahamsen. Dragoer Harbour. In background Dragør Strandhotel. Photo 27. may 2016 by Erik K Abrahamsen. 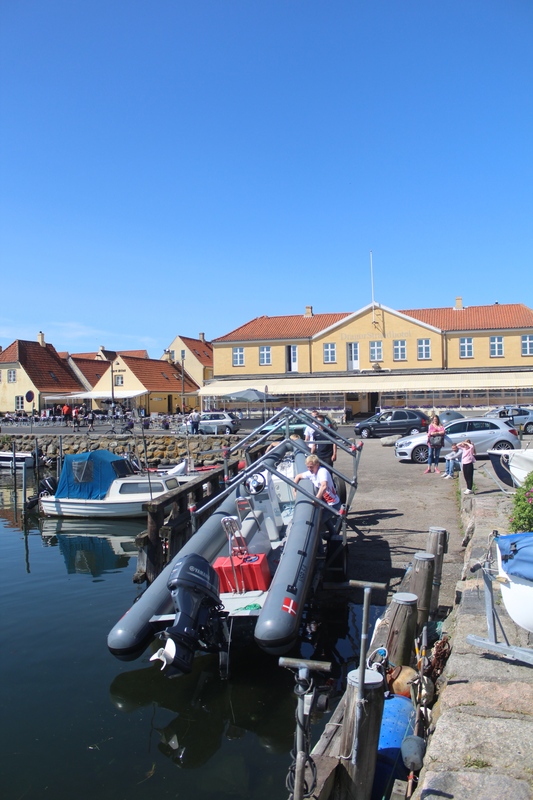 Dragoer Harbour. Photo 27. may 2016 by Erik K Abrahamsen. Dragoer Harbour. View to Pilot Tower, Pitch House and The Tourist Office. Photo 27. may 2016 by Erik K Abrahamsen. Dragoer Harbour. 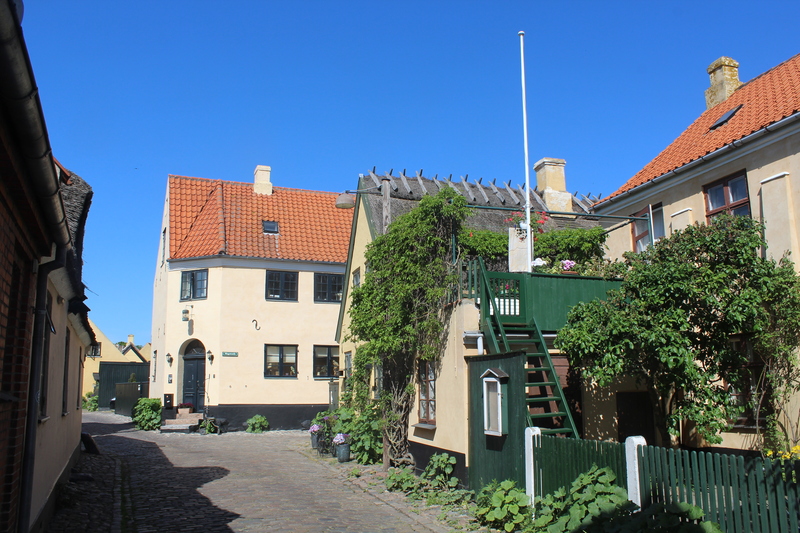 View in direction south to 16 m high Pilot Tower, The Pitch House, The former Harbour Master´s Office builded mid 19th century and The Turist Office. Photo 27. may 2016 by Erik K Abrahamsen. The Pitch House. Photo 27. may 2016 by Erik K Abrahamsen. Plate at The Pitch House. Photo 27. may 2016 by Erik K Abrahamsen. 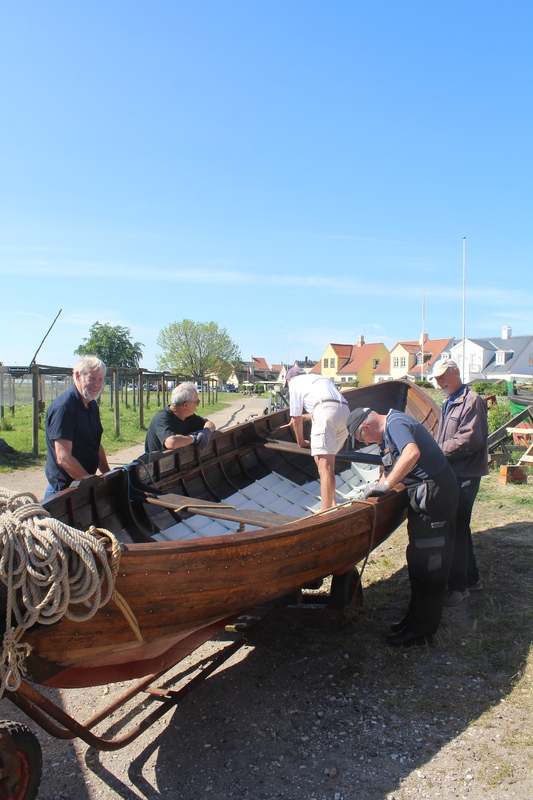 Dragoer fishing boat “Elisageth K571” – one of many Dragoer fishing boats rescuing 6-700 danish jews from german occupied Denmark to safety in Sweden october 1943. Photo 27. may 2016 by Erik K Abrahamsen. 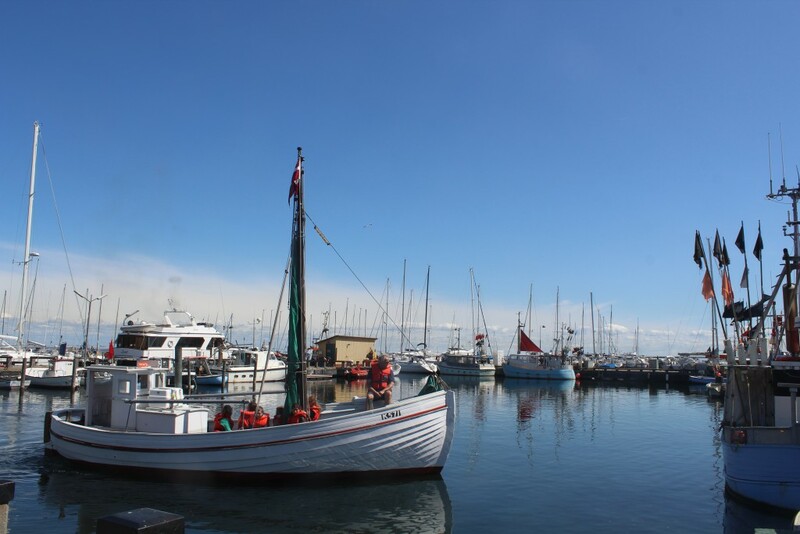 Dragoer fishing boat “Elisabeth K571” in Dragoer Harbour. Photo 27. may 2016 by Erik K Abrahamsen. 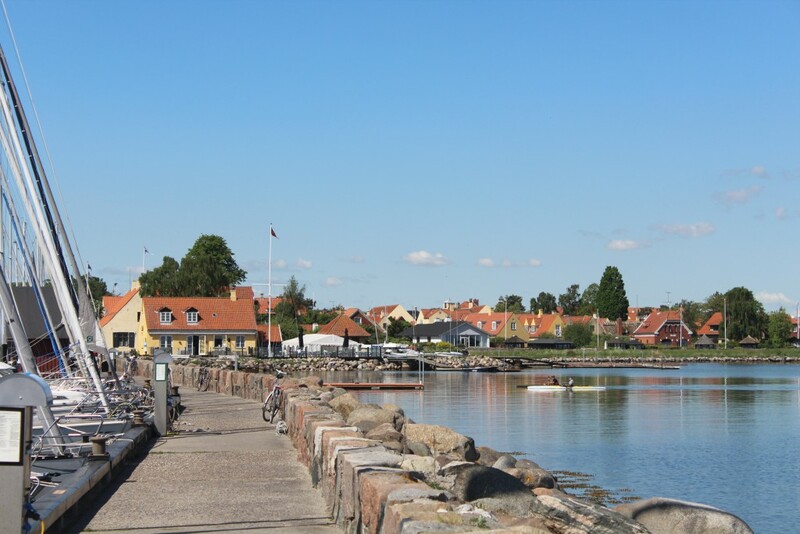 View to Dragoer Old Fishing Village from entrance to Harbour from Øresund. Photo 27. may 2016 by Erik K Abrahamsen. 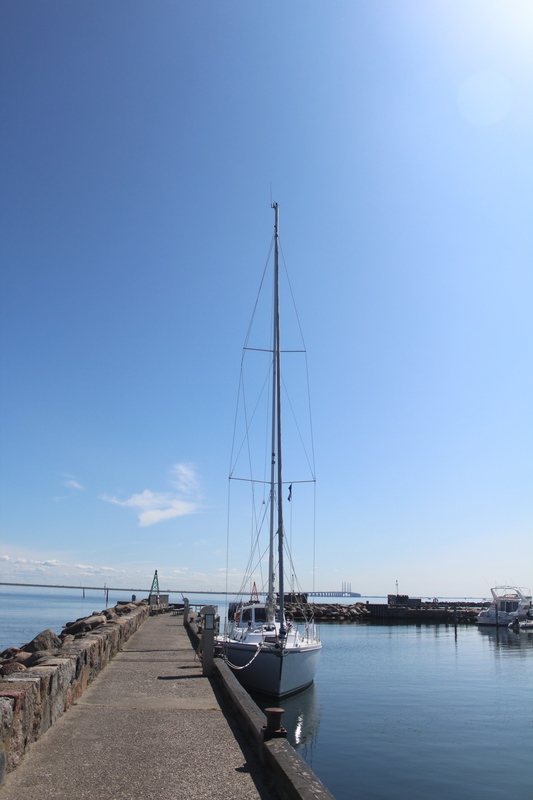 View in direction east to Belt Øresund, Bridge Øresund and Sweden. Photo 27. May 2016 by Erik K Abrahamsen. View in direction east to Øresund, Øresund Bridge and Sweden from entrance to Dragoer Harbour. Photo 27. may 2016 by Erik K Abrahamsen. Wonderful photos and helpful, interesting text. 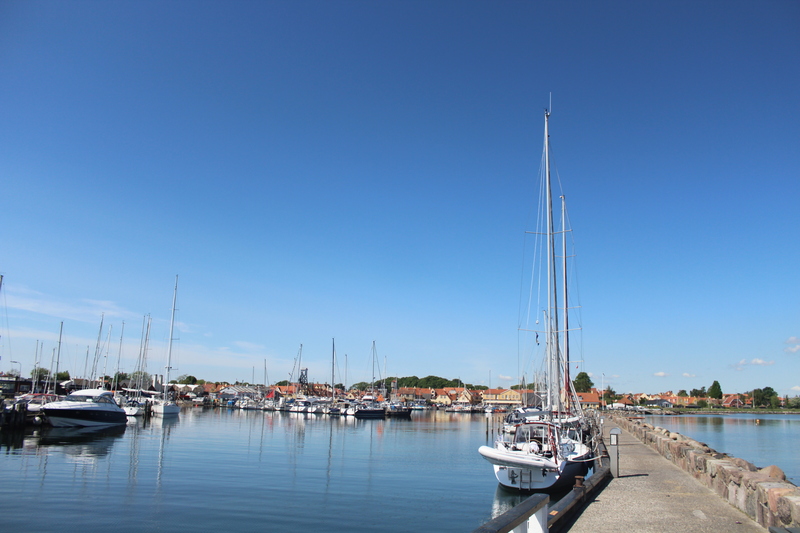 Helped me relive a beautiful and memorable day in Dragoer, as part of a Baltic Cruise. Thank you for this. Blessings.